This tour circuits within 10 days in Indonesia maximizes your days here, the trip will take you to Indonesia highlights to some iconics destinations, from temples, to volcanoes and some cultural places of interests. Each destinations are connected with flight from one island to another, except for Jawa-Bali. 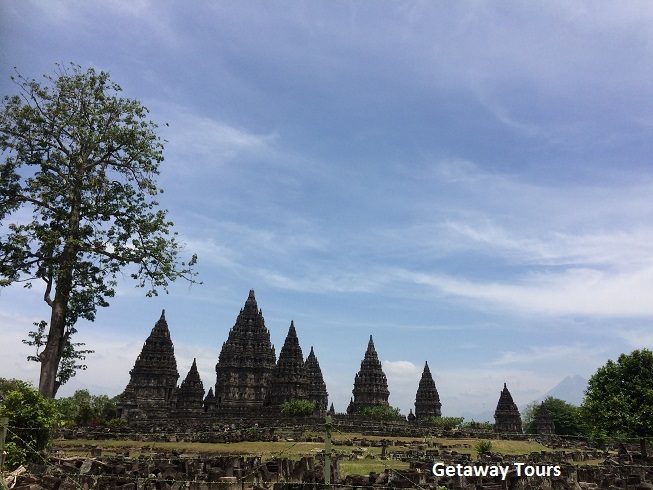 Upon arrival in Yogyakarta and then visit: Plaosan Temple and enjoy sunset from Ijo Temple and Prambanan Temple. Depart at 03.30 from hotel to Punthuk Situmbu Hill, located about 1 hour drive from Yogyakarta. Walk about 15 minutes to view point to watch sunrise with Borobudur and Mt Merapi as its background. And then explore the stupa and relief of Borobudur Temple. Return to Yogyakarta and visit: Sultan Palace, Water Castle and underground Mosque. Drive to Semarang. After breakfast and then transfer you to airport. Fly to Surabaya. Arrival Surabaya then drive about 3 hours to Bromo Area. After breakfast and then visit: Mas Village to see wood carving, visit Tirta Empul Spring Temple, visit Gunung Kawi Temple, Ubud Palace and Tegalalang Rice Terrace. Proceed to visit the view point of Lake Batur and then drive further to Toya Devasya Hot Spring.